Fr. 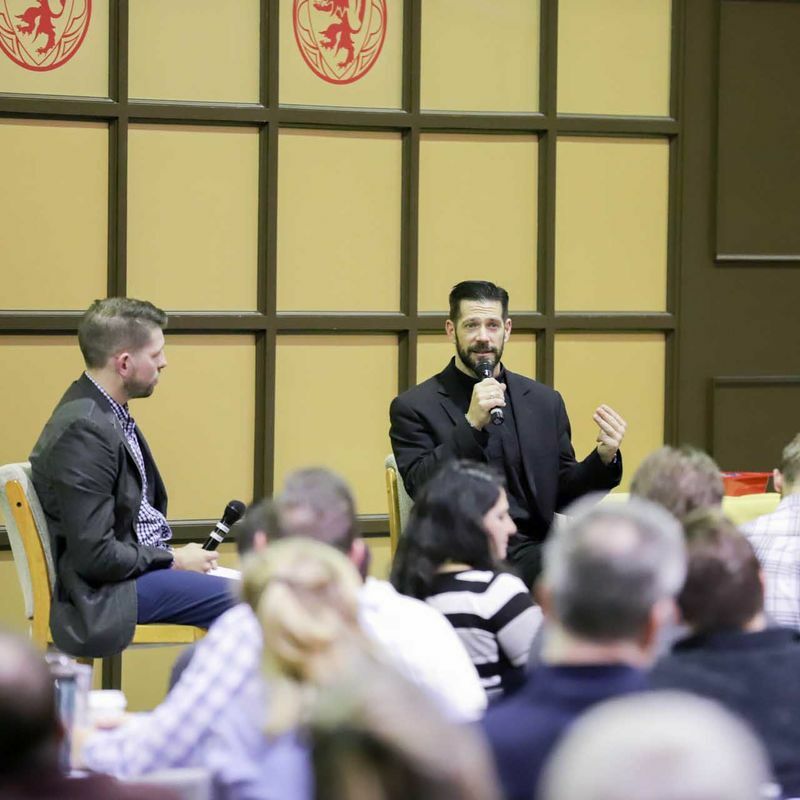 Michael Schmitz and Peter Burak share insights on how to evangelize Millennials during lay ministry speaker series. 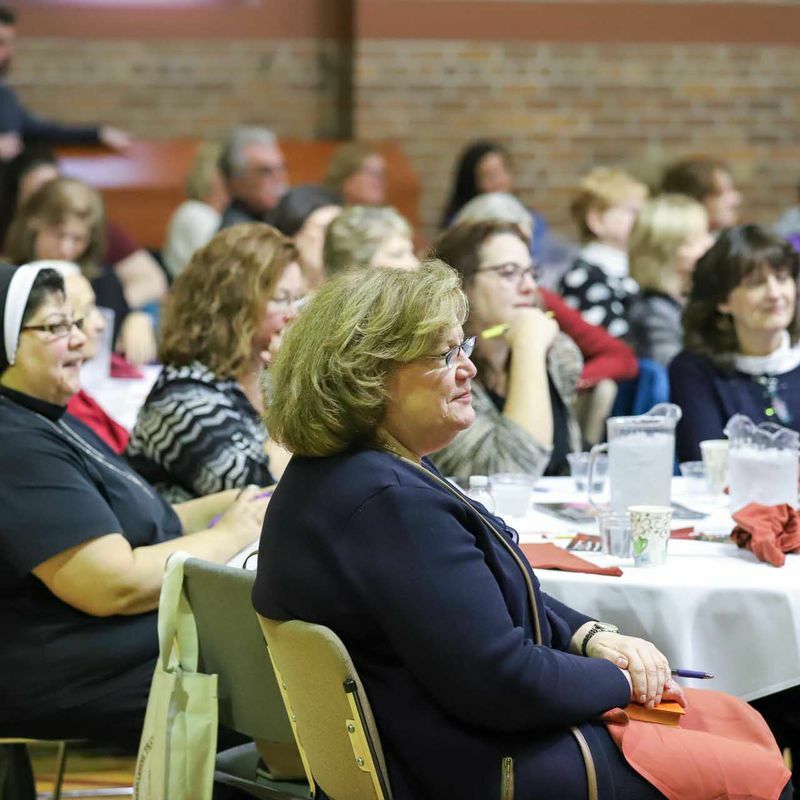 Close to four-hundred lay ministers, parish staff, and students arrived on November 9 to Sacred Heart Major Seminary to participate in the annual speaker series for lay ministry In the Heart of The Church. 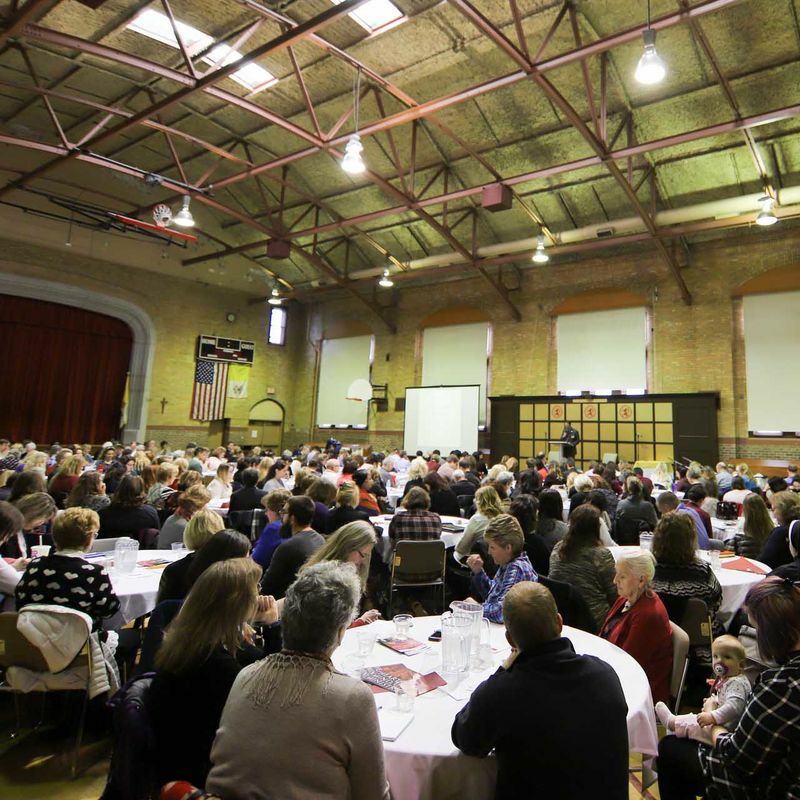 The enthusiastic crowd, comprised of faithful from the Archdiocese of Detroit and neighboring dioceses, turned out to hear keynote speaker, Fr. 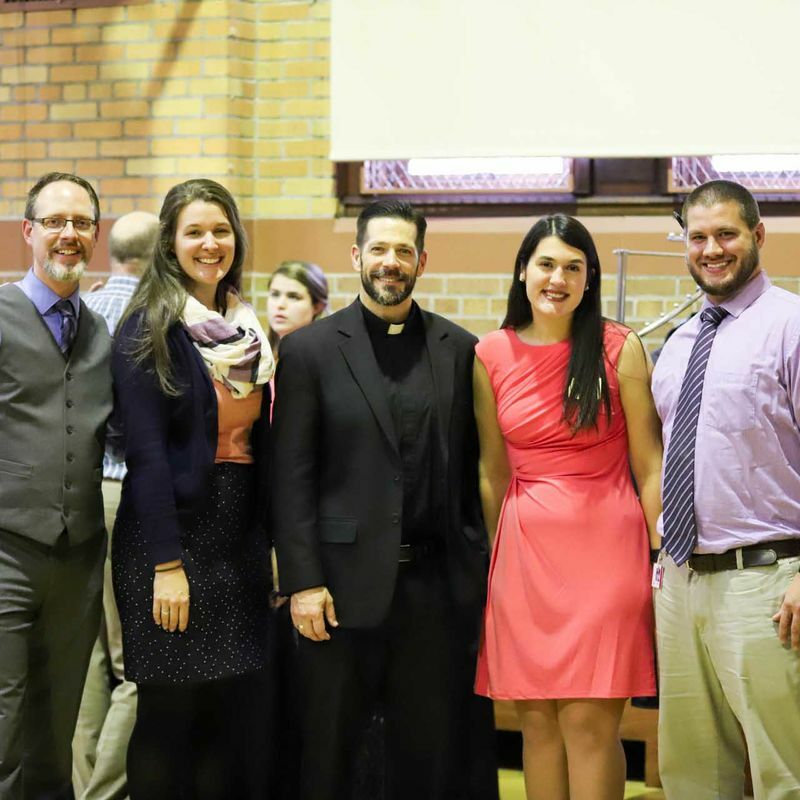 Michael Schmitz, director of Youth and Young Adult Ministry for the Diocese of Duluth and chaplain at the University of Minnesota-Duluth. Fr. Mike is also known for his “digital ministry” that features engaging videos widely viewed online. 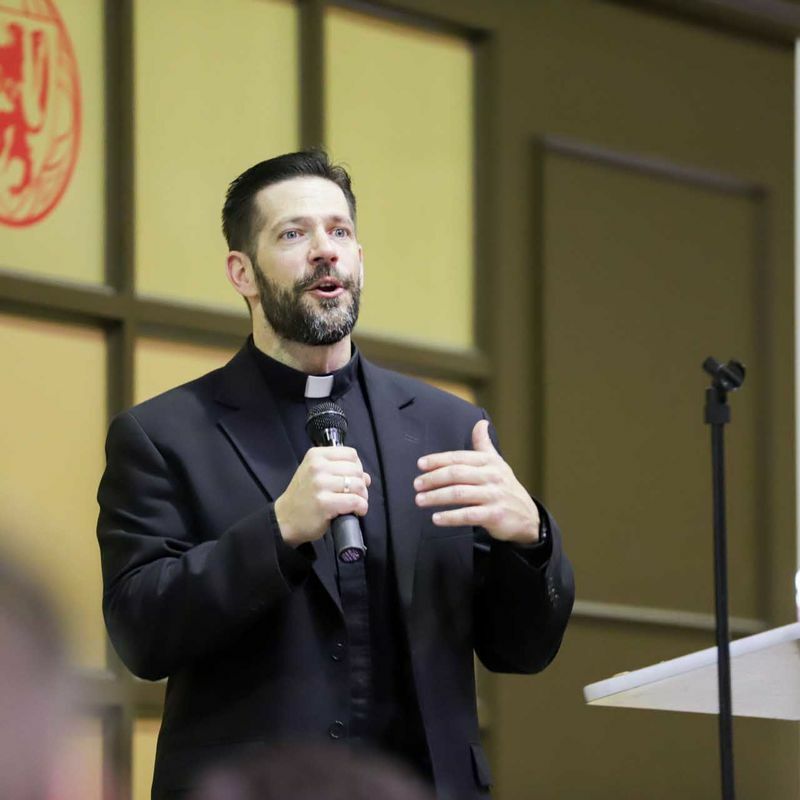 Father Mike’s talk, “Evangelizing Millennials,” focused on how the Catholic Church can better understand and communicate with youth born between the early-to-mid 1980s and early 2000s. 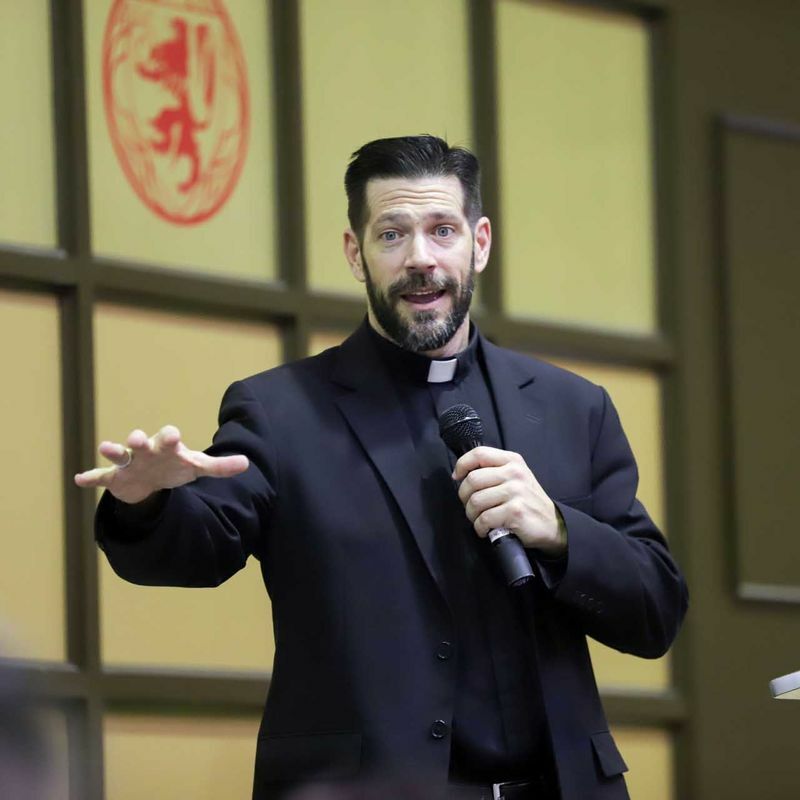 “Successfully delivering the church’s message to them will require a substantially different approach than that used to reach youth just one generation earlier,” said Father Mike. 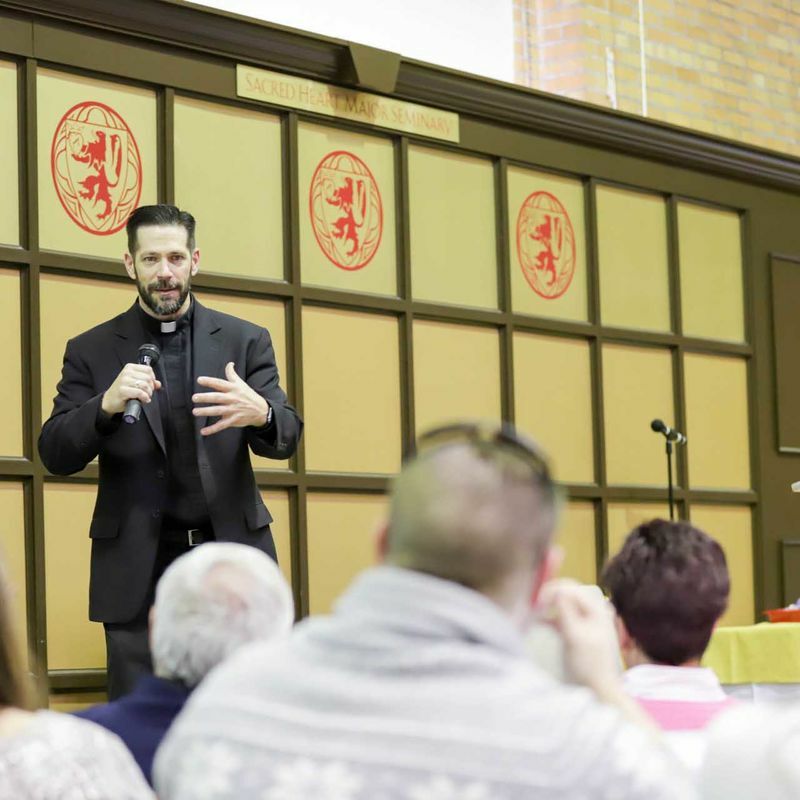 “[Generation X] was marked by a certain rebellion against their parents,” Father Mike said, adding he and other youth ministers have found exactly the opposite in Generation Y. Millennials, according to him, are now being raised by members of Generation X who have grown up to rear their children in a manner that counterpoints their own upbringing, which was often marked by a more removed, arguably less available, parenting style. Father Mike, a Minnesotan, suggested to laughter that things may have even gone further, referring to some members of Generation X as “Zamboni parents”, a reference to the ice hockey resurfacing machines that smooth out every divot and imperfection in a rink. According to Father Mike, this condition of over-parenting combined with dramatic shifts in culture have produced a Millennial generation rife with contradiction; racked with fear and despair but anxious to make a positive difference in their world; transfixed by smartphones and tablets but also bound to family and friends; ill-equipped to make or even identify moral choices but embracing the idea of a loving God. 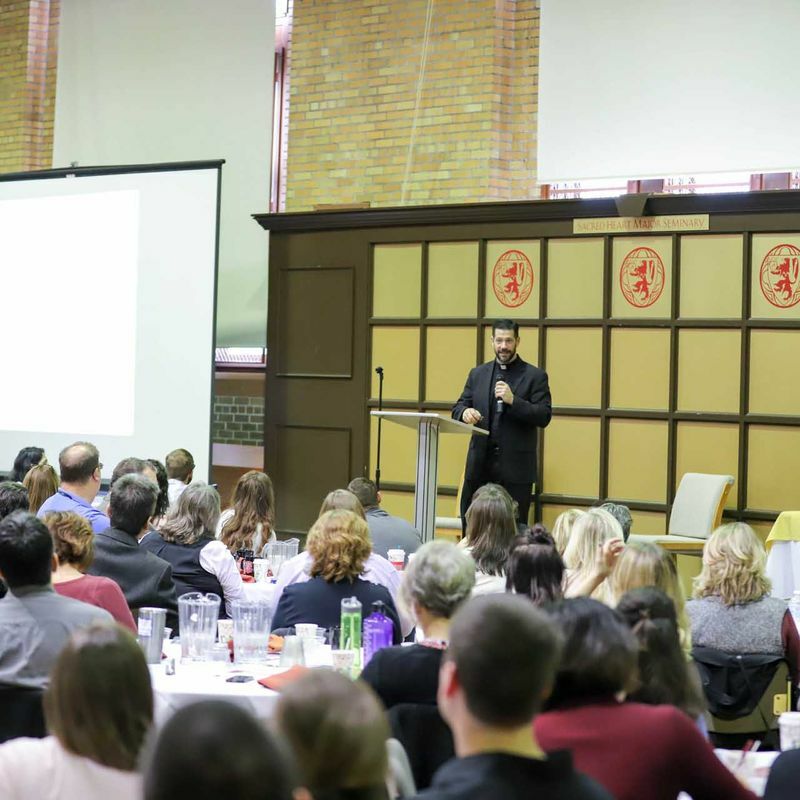 Despite their conflicted nature and polls suggesting a dim view of religion, Father Mike said there is hope yet to evangelize Millennials, as well as great need. 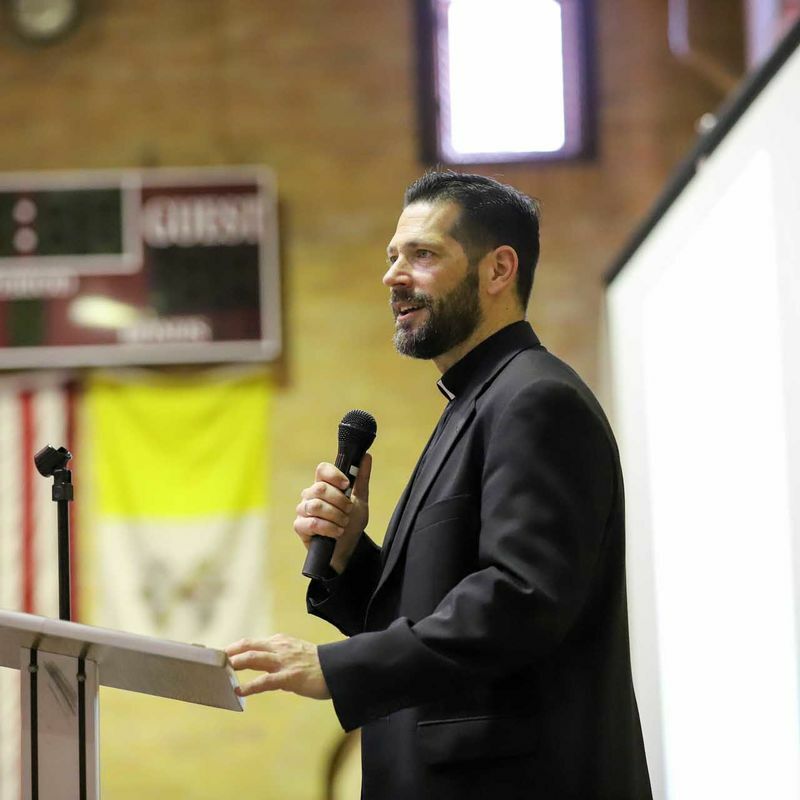 “We have so much in the Catholic Church that can address this culture, as long as we’re not bought into the idea that we have to be the culture or imitate the culture,” Father Mike said, adding that the church can offer freedom and joy where Millennials are stressed and afraid. “There’s so much Good News for this generation; for this church to step in and be more. 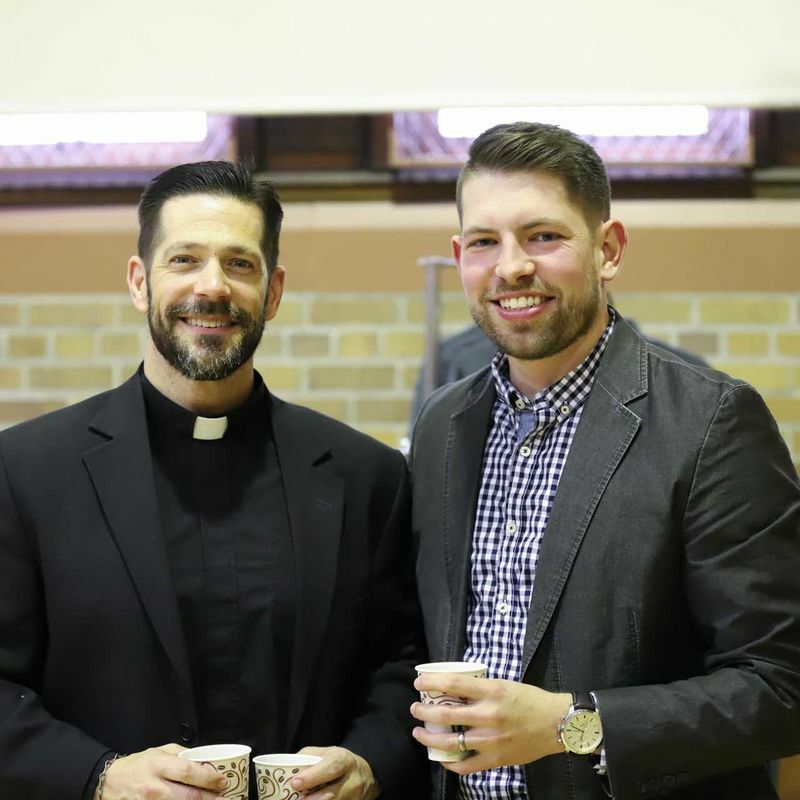 Because we need to be more,” said Father Mike. 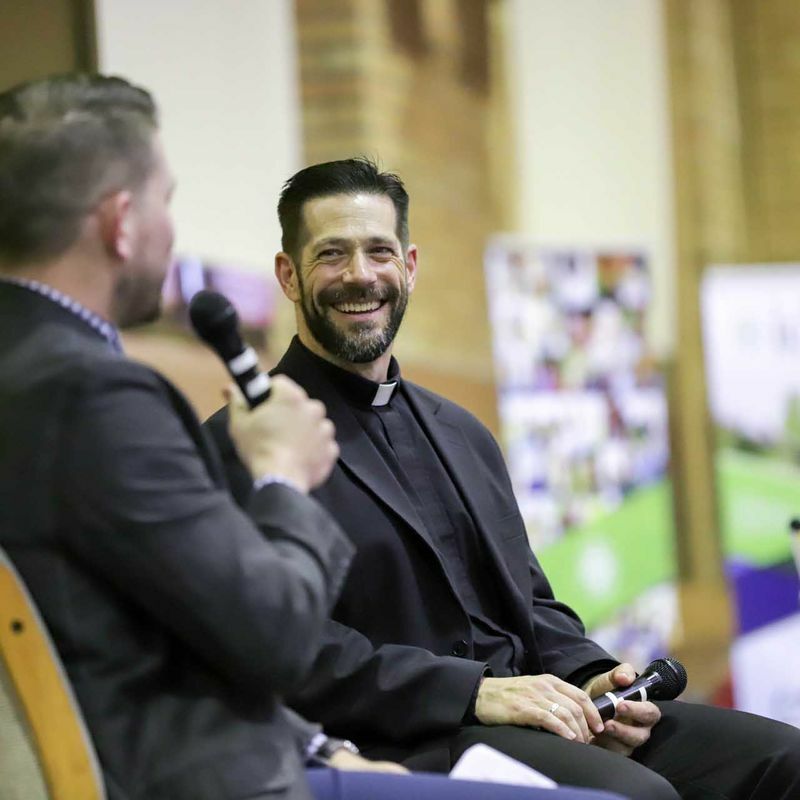 Following his keynote speech, Father Mike was joined by Peter Burak for an enlivening Q&A session. Peter, a Sacred Heart graduate with a master’s degree in Theology, is the director of ID 9.16, a ministry seeking to establish communities of missionary disciples and provide opportunities for young adults in their twenties and thirties to encounter Jesus Christ, hear His call, and decide to follow Him. Fr. Mike and Peter discussed various ways ministers can make meaningful contact with a generation of “young people who don’t even know they’re hungry for God,” as Peter called them. 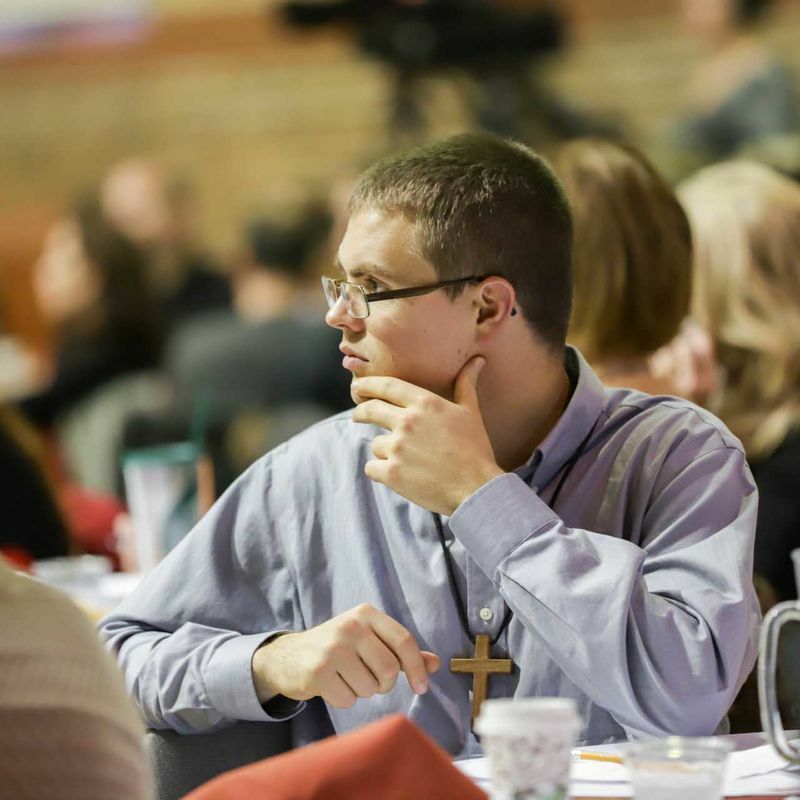 At the end of the day’s events Dr. Matthew Gerlach, dean of the Institute for Lay Ministry and director of online programs, invited attendees to learn more about Sacred Heart Major Seminary opportunities for Lay Ministry Formation. Would you like to watch a recording of Fr. Mike Schmitz talk and the Q&A session with Peter Burak? Videos will be posted in the coming days on our Facebook, Twitter, and Instagram accounts. Don’t forget to follow us to view videos and stay in touch with Sacred Heart. Marco is a freelance writer and editor based in Grosse Pointe, Michigan.